The Lee Friedlander exhibit at the Minneapolis Institute of the Arts will likely rank among the top five most simultaneously humbling and inspiring "performances" I have ever seen. "Baffling," Katie said of photographs that mix windows, reflections, and self-portraiture, like this one. "Hey whoa," we agreed about the rest. Some can be seen in this slideshow and more at this selective site. 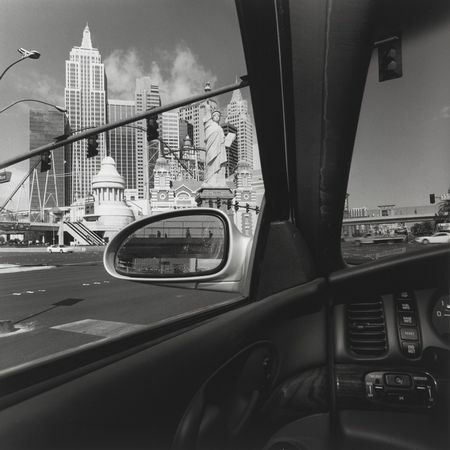 In short, Friedlander seems to have photographed everything I would want to photograph. Street stuff, portraits, quirky compositions, odd signs, and lots of driving. It's like watching Jay Gilligan juggle or Adam Boehmer dance (Mpls clip). It makes me want to quit. I won't quit; we bought the exhibit book for $59. Very cool work, I especially like that driving book, and one taken in Cincinnati, OH (in the slide show). I remember watching that swing video several months ago and liking it.